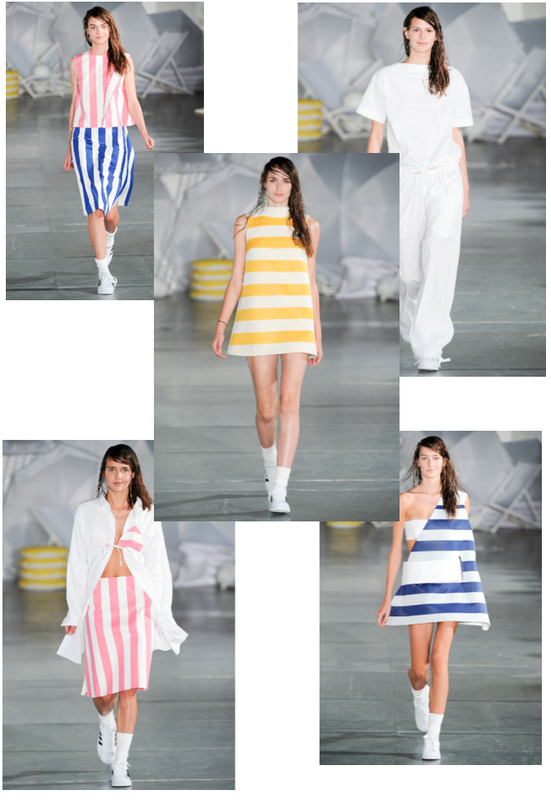 One of my must watch during Paris Fashion Week, Jacquemus is the brand behind my beloved "J'aime la Vie" t-shirt. This season's collection is an upbeat affair reminiscent of the young designer's summering in the South of France. Playfulness and just what you picture a petite fille frolicking on Pampelonne beach wearing. Nope? Just me... well, you get the gist.